and I’m sure I’m not the only one too! What do we do with the dress? well, why not sell them =p? that way you get to earn some extra cash and also use the money for something more suitable for your preference of that certain time! 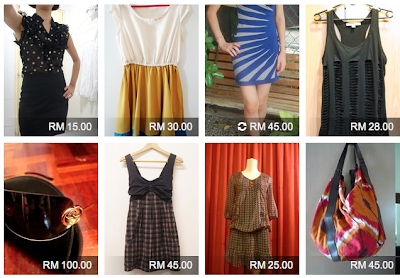 A very awesome platform where you can sell and purchase pre-loved(sometimes completely new items)from fashion lovers around Malaysia! A screenshot from the website! I know I’ve got my eyes on this pretty dress! For more info, head over to their Facebook page!